With summer around the corner, some people are worried about bathing suit season. But we have something a bit more exciting on our minds: ice cream season. Technically you can get ice cream any time of the year, but it seems to tase so much better in the summer. Especially on the beach, at the lake, or even poolside. 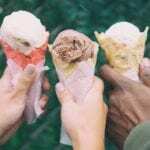 If you’re American, you likely grew up eating cones (or cups) of vanilla bean, chocolate, strawberry, and about 49 other flavors of ice cream. 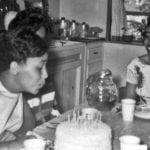 Maybe you even enjoyed some homemade ice cream as well (check out our favorite homemade ice cream makers). But did you know there are different kinds of ice cream? 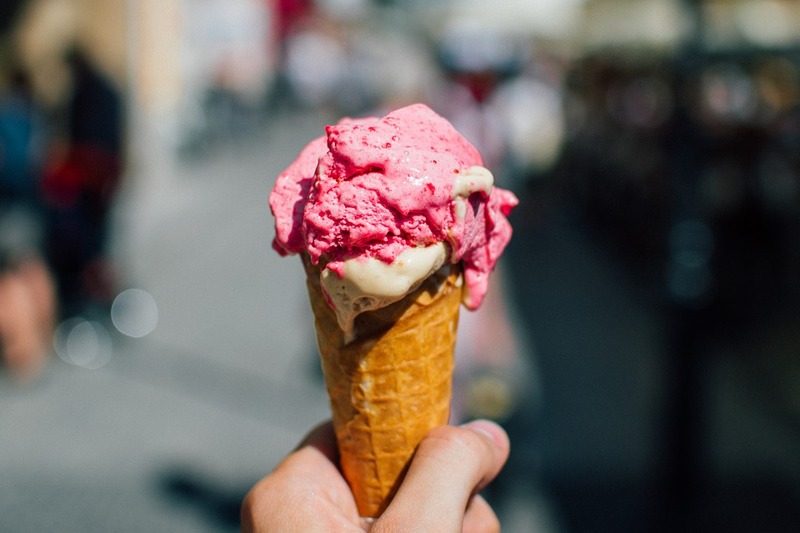 America has its own types of ice cream, and if you grew up abroad, you might have grown up eating something pretty similar but with a slightly different texture, name, and of course variety of flavors. 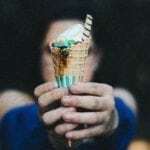 Let’s take a look at some of the most popular types of ice creams (both domestically and abroad) and see what makes them unique. If we’re going to talk about ice cream from around the world, we can’t leave out American ice cream. You know it, you love it. But do you know how it’s made or what makes it unique? And did you know there’s more than one type of American ice cream? Hard custard ice cream is what most Americans think of when they think of ice cream. It’s made with heavy cream, eggs, sugar, and a few other ingredients and then churned and frozen. The result? Delicious, creamy, scoopable goodness. Hard custard ice cream is the ice cream you’d find in most ice cream shops and what most ice cream recipe books provide. 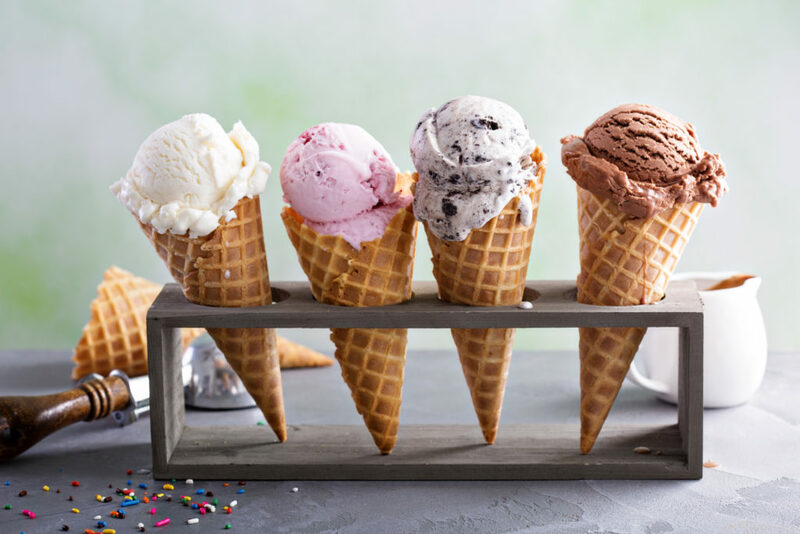 Iconic hard custard ice cream flavors include chocolate, vanilla, strawberry, and mint chocolate chip. Just when you thought all American ice cream was created equal, you learn that it’s not. New England has its own special kind and its own unique flavors. New England ice cream is different from other types of ice cream because it’s chewy (in a good way). You can bite it right off the cone if your teeth allow it! It’s made with less air than traditional ice creams and added milk proteins, resulting in a denser texture that somewhat resembles gelato. 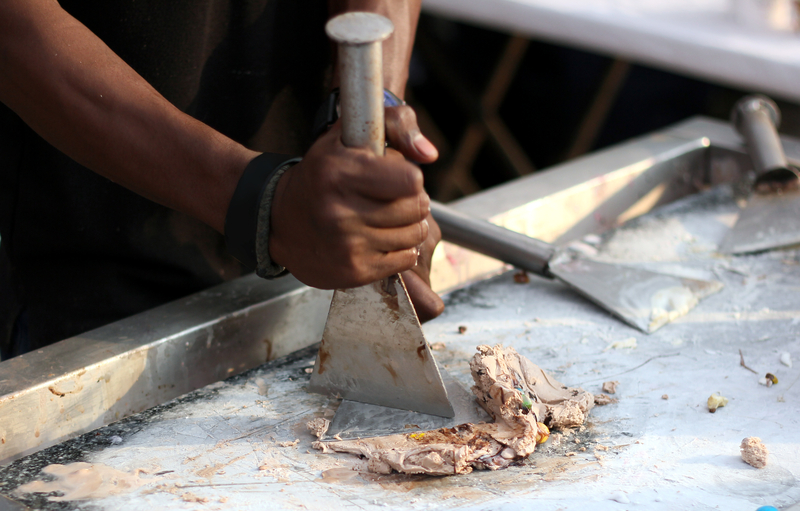 Have you ever had ice cream slapped on a marble slab and mixed with cookies, chocolate, or other goodies? That concept was invented in New England at an ice cream joint called Steve’s in Somerville, Massachusetts. Iconic New England ice cream flavors include peppermint stick, and maple, coffee. Unlike New England ice cream, the Philadelphia variety isn’t from Philly, nor is it unique to the city. Sometimes it’s even referred to as New York ice cream or American ice cream. Philadelphia ice cream is ice cream made without eggs. It’s lighter and fluffier than custard ice cream and other egg-based ice creams and melts in your mouth more easily. It is typically churned with more air than its denser counterparts. Philadelphia ice cream may have a different texture than custard ice cream, but its flavors are pretty similar. Classics include vanilla, chocolate, strawberry, and other iconic flavors. Frozen custard ice cream is another type of ice cream. While you’d think it was the same as hard custard ice cream, it’s not. It’s more similar to soft serve than hard ice cream. Frozen custard ice cream is rumored to have begun in Coney Island, but over the years it has become most popular in the Midwest. This type of ice cream is the result of an extra rich ice cream base that is high in fat and eggs. It’s frozen in a special type of ice cream maker called a continuous churn that churns in as little air as possible. 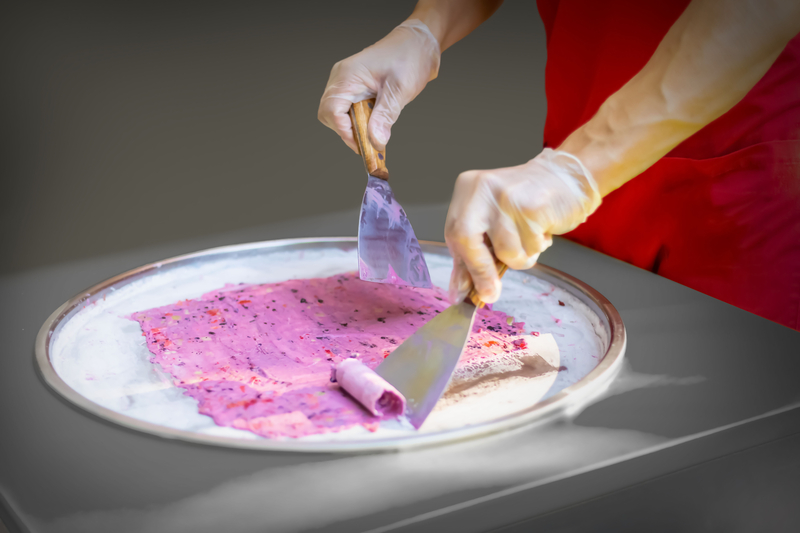 It’s also made faster than any other type of ice cream — it’s ready just two minutes after the base is poured into the machine! The result is a super soft yet creamy soft serve ice cream that is served in “ploops” rather than scoops. 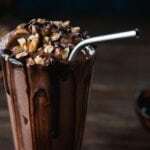 Favorite flavors include traditional vanilla, chocolate, and strawberry, but it’s also a popular mix-in for milkshakes. Soft serve is a relatively new type of ice cream that came about in the early to mid 20th century and peaked in the 1950s or 1960s. Some say Carvel founded it, while others credit Dairy Queen. 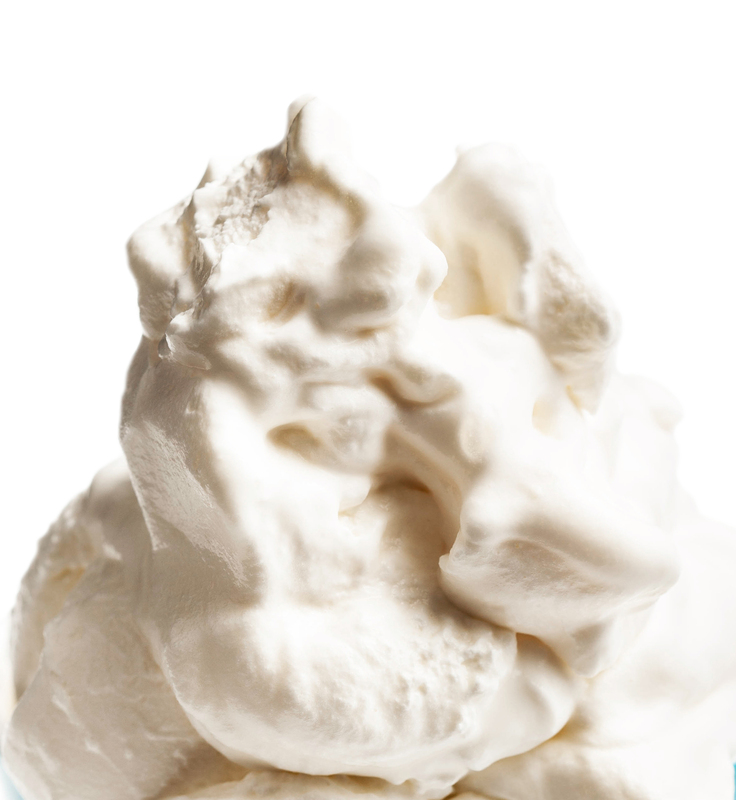 Soft serve has a low-butterfat base that is made with milk, sugar, and a few other ingredients. It typically does not contain eggs. It is rapidly churned with air, which forms a light foam. 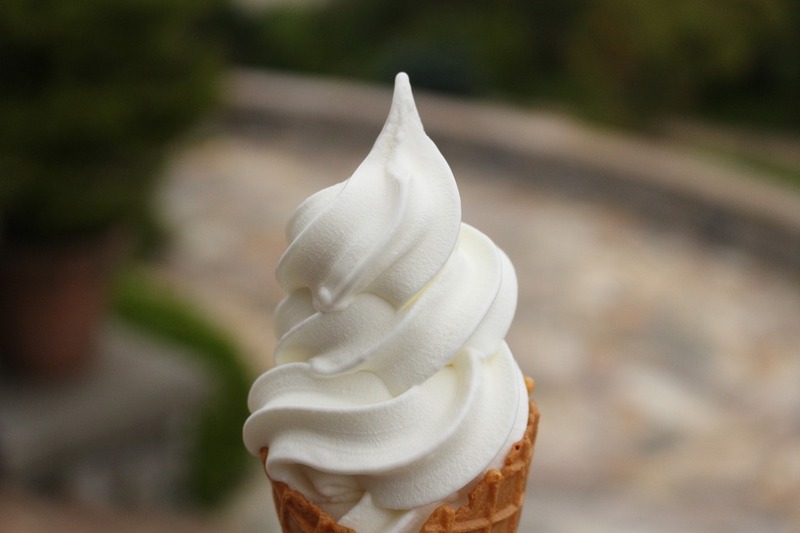 Soft serve usually has more air than most ice creams which is what gives it its signature swirl and lightness. Soft serve comes in a multitude of flavors, with vanilla, chocolate, and strawberry being the most popular. 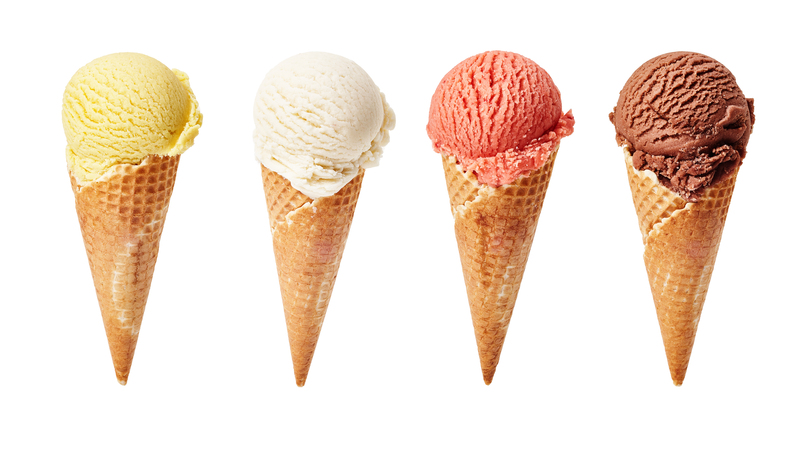 Unlike other types of ice cream, it does not contain mix-ins like Oreos, chocolate chips, or nuts. Frozen yogurt is similar in consistency to soft serve but differs slightly in flavor and consistency. It tends to be denser. 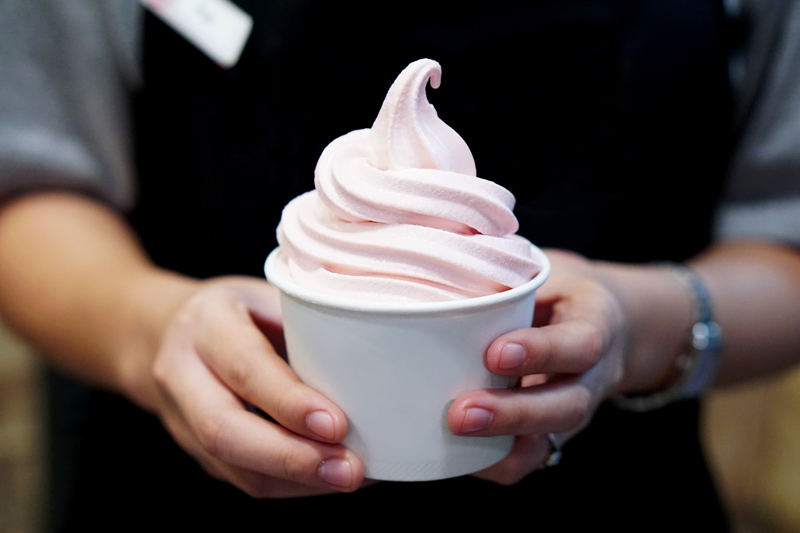 Frozen yogurt differs from soft serve as it’s made with yogurt rather than milk and cream. It’s pretty easy and fast to make too. Some recipes are as simple as churning together a quart of yogurt and a cup of sugar. There’s another myth about frozen yogurt; while it’s typically served soft, it doesn’t have to be. You can let it harden in the freezer and scoop it like you would with ice cream. Frozen yogurt comes in every flavor you can imagine. The traditional ones are common, but you can also find options like white chocolate mouse (thank you TCBY), butter pecan, and so many other varieties. 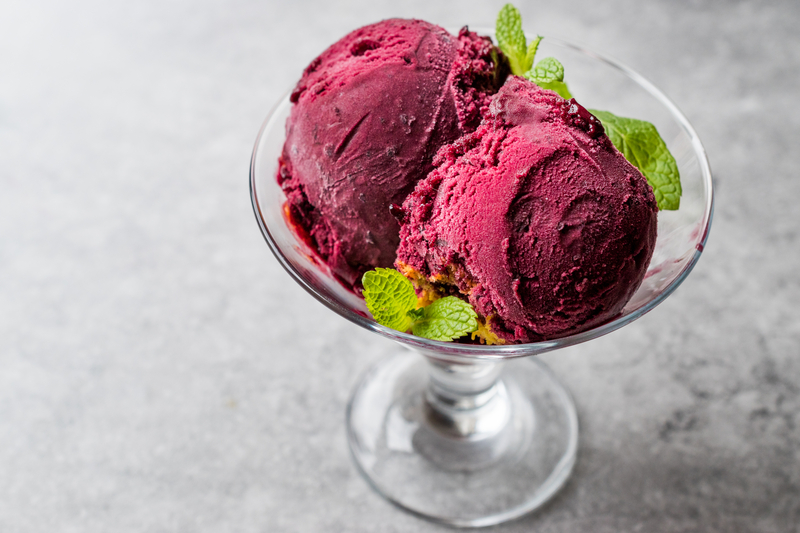 Sorbet is considered a dairy-free frozen dessert, so it doesn’t technically fit in the ice cream category. However, it’s frozen, melty, can be scooped in a cone, and tastes great on a hot day. Thus, it’s made our list. Sorbet is derived from the concentration in sugar found in fruit, as well as fiber and pectin. It’s a sugary syrup that is whipped together and frozen and, as it freezes, becomes a labyrinth of tiny ice crystals and sweet, fruity sugar. Sorbet is great for vegans and lactose intolerant people looking for a refreshing treat on a hot day. This treat is also delicious for those looking for a frozen fruity dessert. Common flavors include raspberry, strawberry, lemon, lime, and other fruity flavors. Remember rainbow sherbet? If you’re a child of the 90s, you probably do. Sherbet is a mix between sorbet and ice cream. It’s fruity, but it also contains milk. According to the FDA, sherbet needs to have between one and two percent milk solids. If you’re making it at home, that equates to roughly equal amounts of dairy and some other liquid. That liquid can be juice or fruit (which sherbet typically is) but also tea, soda, or any other liquid you can think of that isn’t milk. Sherbet is smooth. It’s creamier than sorbet but less creamy than ice cream. 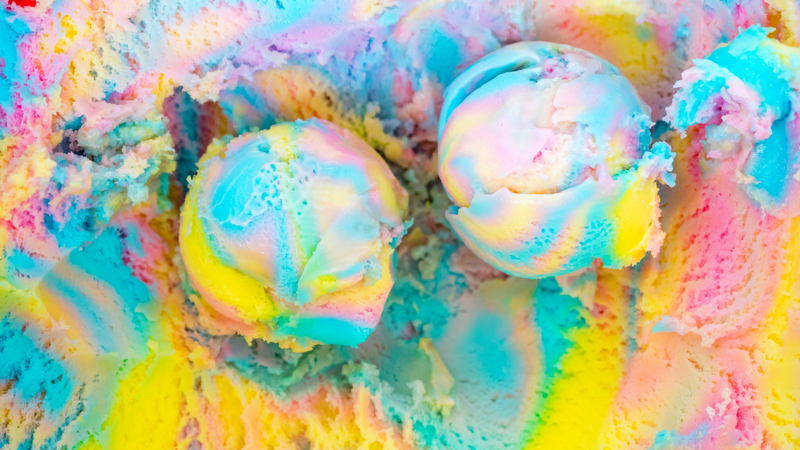 The most iconic sherbet flavor is rainbow sherbet, and orange is probably number two. Italy is known for great pasta, pizza, mozzarella, and ice cream. Only they don’t call it ice cream, they call it gelato. And it is delicious. 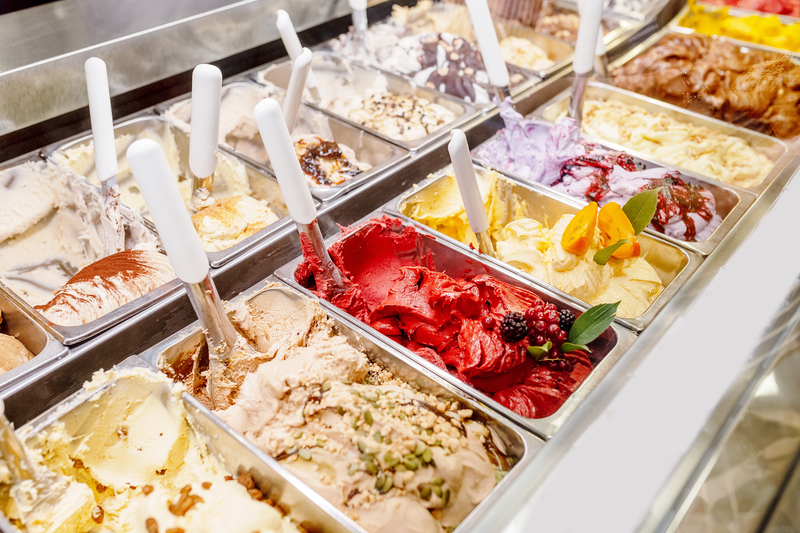 Gelato is denser than ice cream and typically doesn’t “scoop” like American ice cream does. Instead, it can be sliced, or even chopped out. This is because it is churned at a lower speed than American ice cream, resulting in less air being whipped into it. The ice cream base (the technical word for ice cream recipe) is also different and is typically made with whole milk (rather than cream), so it has a lower milk fat percentage. Additionally, most American ice creams are made with eggs or other stabilizers. Gelato is not. Gelato flavors aren’t too far off from American ice creams. Favorites include pistachio, strawberry, vanilla, and chocolate chip (although the Italians call it Stracciatella). If you grew up in India, have Indian parents, or have ever visited, you’ve likely tried Kulfi. Kulfi is to India what Gelato is to Italy. It tastes like ice cream but looks like a popsicle. 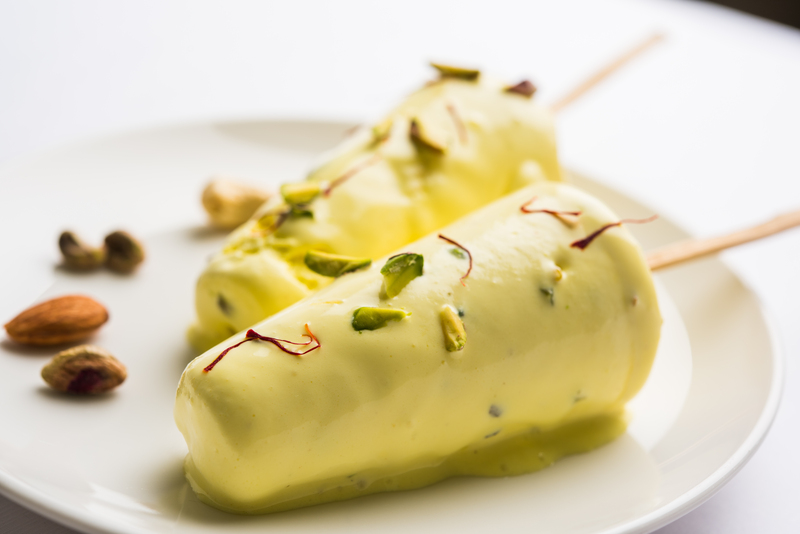 Kulfi is a dense, frozen dessert, and it is frozen inside of molds as opposed to churned inside an ice cream machine. It’s sweet, but not overly sweet. It is made with milk, but the milk is first cooked for hours on the stove with sugar, nuts, and spices. The trick to kulfi is to simmer and constantly stir the milk mixture. Kulfi comes in a variety of flavors that are unlike traditional American ice cream. These include rosewater, mango, pistachio, and even saffron. If you’ve ever visited Istanbul, we hope you tried dondura. 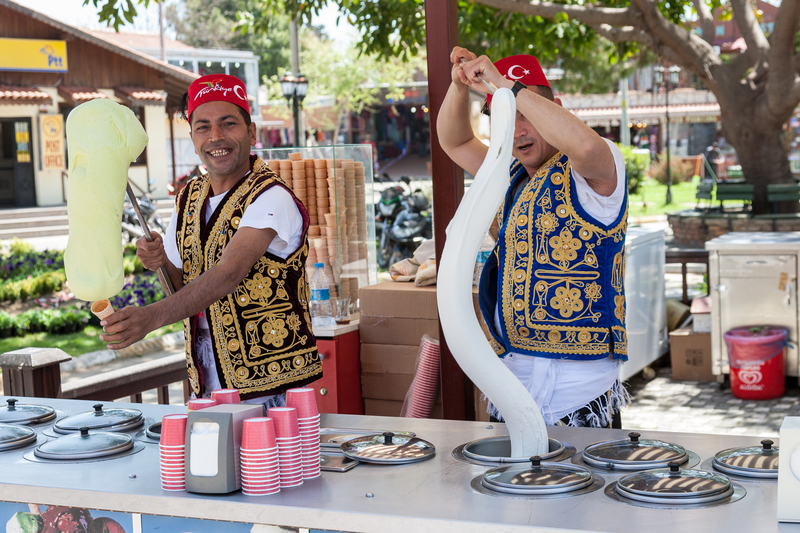 If not, and if you’re an ice cream fanatic, it’s worth going to Turkey to taste. Dondura is Turkey’s version of ice cream and is frozen, chewy, and stretchy in form. It is made from a fine powder derived from salep, a wild orchid root native to Turkey. This root becomes an elastic hydrocolloid and enables ice cream to become flexible. It’s so flexible that it can stretch two feet! If you’re looking for dondura in the U.S., you’re out of luck because Turkey has banned the export of salep. Dondura comes in a variety of flavors. Some local flavors include sade (plain) and fıstıklı (pistachio). Twenty-eight years ago, Dippin’ Dots was created and deemed “the ice cream of the future.” While it never entirely took off and replaced traditional ice cream, it certainly is fun. Dippin’ Dots is formed by flash-freezing little drops of liquid ice cream base in liquid nitrogen. The result? Little pearls of creamy ice cream. 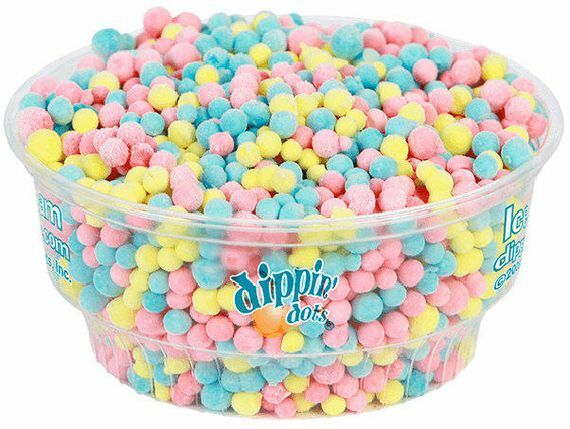 These dots require colder-than-normal temperatures to stay hard (think -40 degrees Fahrenheit and below) and separated, which is probably why Dippin’ Dots never became a huge success. That’s colder than the average grocery store and home freezer! Common flavors of Dippin’ Dots include the typical vanilla and chocolate, but also banana split, mint chocolate, orange creme de la creme, and other gourmet flavors. If you’re planning a trip to Thailand, there are a few “must” restaurants you should eat at (check out our roundup of Best Restaurants in Bangkok For Those Not on a Budget). There’s also a must-eat dessert: I tim pad. I tim pad is made-to-order ice cream. It’s not churned. Instead, it’s quick-frozen on a frozen metal plate. The result? A thin pancake of creamy, dense, ice cream. You can also request a variety of mix-ins such as crushed Oreos or mangos. Once the plate and mix-ins are ready, I tim pad is typically rolled into cigar-like rolls and then served in a cup. 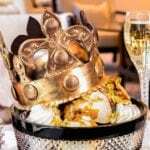 There’s usually one base flavor, which can be manipulated with mix-ins, and then the dessert is topped with traditional treats such as whipped cream or chocolate sauce. 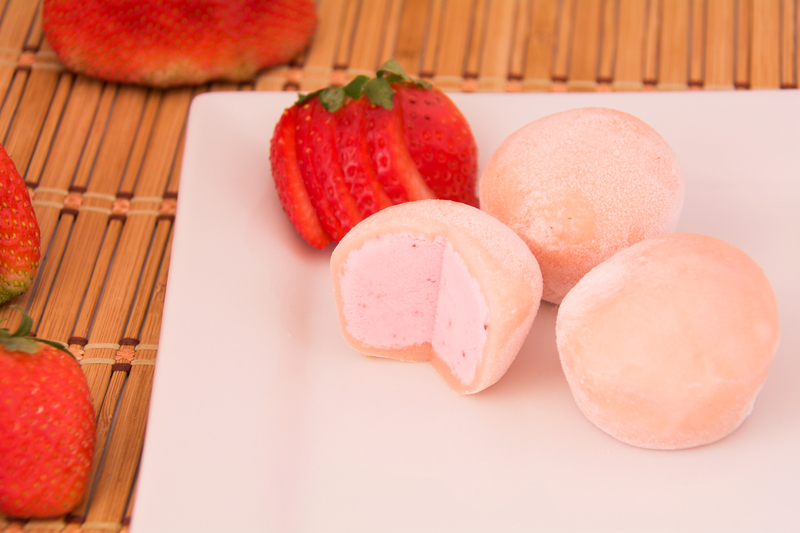 If Dippin’ Dots is the newest ice cream on our list, Japan’s mochi ice cream is the oldest. Mochi is a thick, chewy cake that dates back more than 2,000 years. It’s pounded, glutinous rice. In the early 1990s Frances Hashimoto, owner of Mikawaya, an LA restaurant, decided to fill mochi with chocolate ice cream. The result was a Japanese-inspired ice cream sandwich that quickly became a hit in the U.S. and shortly after, Japan. Mochi ice cream now comes in a variety of flavors such as green tea, mint chocolate chip, strawberry, and cookies and cream. It can even be found at Trader Joe’s! You can get inspired by the best kawaii anime restaurants for these sweet treats too. Spaghettieis is Germany’s fun, playful ice cream that looks nothing like ice cream. It looks like a plate of spaghetti! Spaghettieis was introduced in the 1960s in Mannheim, Germany, by Dario Fontanella. 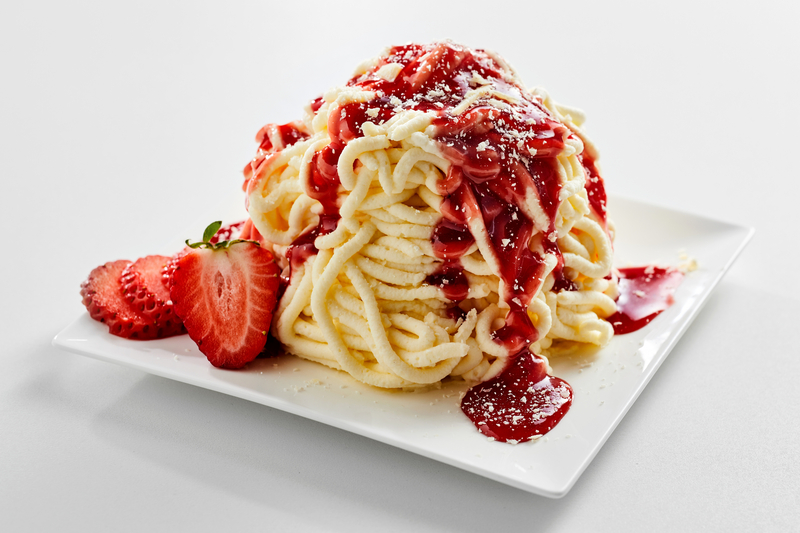 He created it after seeing children cry and say they wanted “ice cream, not a plate of spaghetti.” Spaghettieis is formed by putting vanilla ice cream through spaetzle presses. The result? Spaghetti looking ice cream “noodles” that were then topped with strawberry (i.e. the spaghetti sauce) and topped with shaved white chocolate flakes(i.e., the parmesan cheese). Unlike most of the ice cream on our list, spaghettieis only comes in one flavor. But it sure is a good one! Click next to read about the most bizarre ice cream flavors out there.